Cambridge, New York & Melbourne: Cambridge University Press, 1993, Hardback in Dust Wrapper. 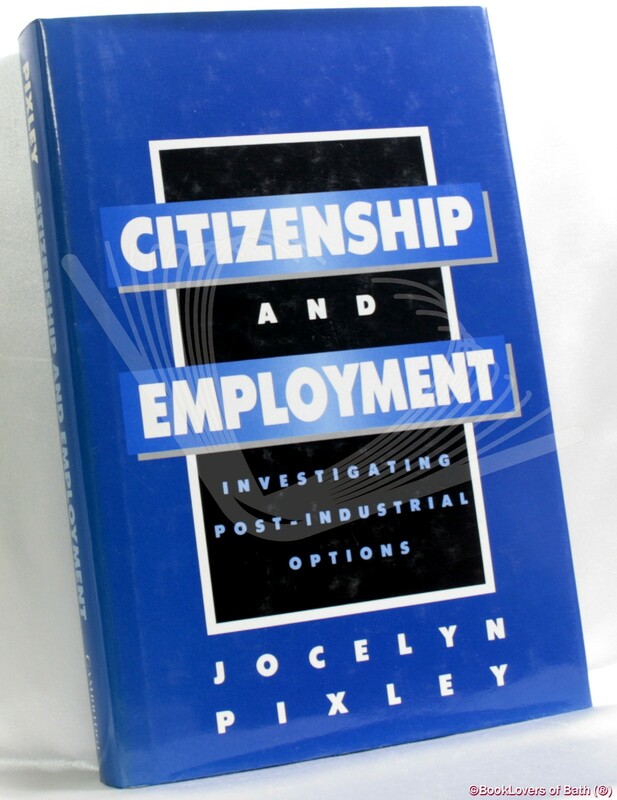 Jocelyn Pixley’s book is a reappraisal of the employment debate. It asks whether there is an alternative to wage labour that does not undermine citizen rights and finds, from the various OECD governments that have already pursued this post-industrial strategy, that there is none. Dr Pixley tests the post-industrial hypothesis by examining policies for breaking the cash/work nexus — guaranteed income schemes, communes and worker co-operatives. The book rejects the optimism for such options by showing that government proposals in these areas resulted in further infringements of rights and the exclusion or marginalisation of the unemployed. Size: 9½" x 6¼". Black boards with Silver titling to the Spine. [VII] 339 pages.